Tuesday night, Pop star Miley Cyrus, and Talk show host Andy Cohen were honored at the 6th annual amfAR Inspiration Gala. The two were honored for their work in the fight against AIDS. Anderson Cooper, a long time friend of Andy Cohen, hosted the star-studded event. The event featured; a fashion show that was centered around men’s style, and a musical performance by the legendary Mary J. Blige. Miley Cyrus at amFAR Inspiration Gala wearing Moschino. Miley, who is an avid champion to LGBT youth with her Happy Hippie Foundation (the foundation helps homeless LGBT youth), has also recently launched the gender awareness campaign #Instapride on Instagram. 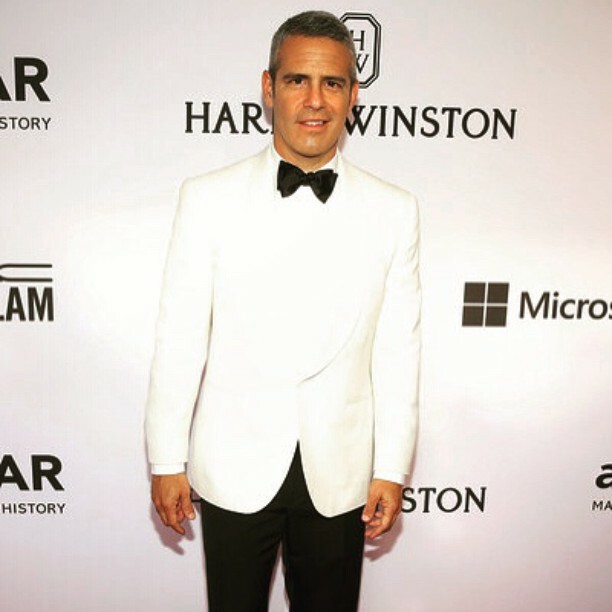 When he isn’t interviewing celebrities on “Watch What Happens Live” Andy Cohen is an avid contributor to amfAR and many other charities including; GLAAD, Habitat for Humanity, and the Revlon Walk for women. Andy and Miley, seemed to enjoy the event where they managed to raise 1.5 million dollars for AIDS research. In addition to the guests of honor, there were many other fashionable celebs in attendance including; model Lily Donaldson, model Joan Smalls, and Actress and Star of Orange is the New Black, Laverne Cox.